Healthful Choice for a Healthier Lifestyle. 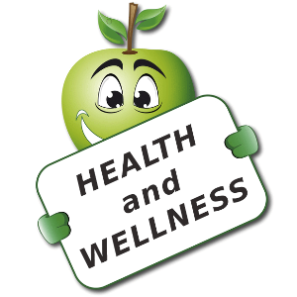 Healthful Choice is all about helping people make the right choices so they can live a healthier lifestyle. We are all about sharing the information needed to get you on the path to a lifestyle that is healthier and more fulfilling. Although living a healthy lifesytle is a choice, it has to start by focusing on spiritual growth, proper nutrition, daily exercise, and personal finances. We have a ten step daily guide that you can use to begin your journey. Everyone of us are faced with making choices everyday. Everything we do in life is based on choices; we make some bad choices and we make some healthy choices. Whether our choices are good or bad, they have a direct affect on our lives. Although we may not see the immediate affects, the results of choices we make today will affect our lives tomorrow, next month, and in the coming years. …you can do something in the next few days that will make your life worse? …you can do something in the next few weeks that will make your life better? …every choice you make has an end result? By answering yes to these questions, you have just admitted that no matter how good or bad your past was, or how good or bad your present situation is, there is something you can do right now that will either make your future situation better or make your future situation worse – whether you believe it or not, it’s your choice. The answers to these simple questions have proven that you already know the choice is yours. Although the ultimate outcome of your life is in God’s hands, there are choices you can make that will make your life more exciting and fulfilling. Even though many people make it a proclaimation, the outcome of your life is NOT the fault of your parents, spouse, teachers, or children, but rather a combination of daily choices. And these choices are yours and yours alone! If you’re looking to make a change for the better, take that first step today! I promise, you will not regret it. Make the healthy choice NOW! ! ! ! Click on the button below to receive additional information on ways that will help you improve your current and future situation. If you’re happy in your present situation and your life is going just as you planned, I applaud you! You are the minority and a remarkable person! Thank you for stopping by my web site. May God Bless you on your journey through life. PS: If you’ve hit a bump in the “road of life” and you’re looking for help, let’s talk. Click here to see the Top Ten Healthy Choice Tips to live a Healthier Lifestyle!